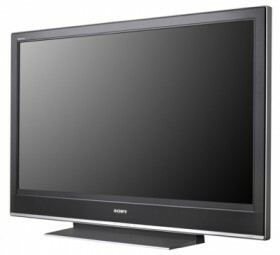 Amid declining global sales, Sony and Samsung are instructing US retailers to maintain minimum prices for televisions to increase profitability, according to the Wall Street Journal. The move is expected to help protect profits of both manufacturers as well as retailers such as Best Buy and Target, which are facing increasingly stiff online competition. Sony's policy launched last month and covers about 120 TVs along with other electronics, such as camcorders, audio players and tablets, though it reportedly excludes Vaio machines. Samsung's plan was introduced earlier this year and sounds less broad, covering only "some new TV models," according to a spokesman speaking with Businessweek. TV profit margins are notoriously thin and according to Billy Abt, co-president of Abt Electronics, it hit the point where his family's stores were making $10 on $2,000 TVs. "This allows us to make a reasonable profit," Abt said. The average selling price on TVs has slipped for three consecutive years, falling 15% from $644 in 2009 to $545 last year. Despite that decline, the average consumer TV size has increased from 33 inches in 2007 to 38 inches in Q1 2012. That trend has at least partly contributed to falling retail revenue. Best Buy, for instance, posted a 25% drop in earnings Tuesday and it's said that increasing handset and tablet sales simply couldn't offset sinking TV and computer sales. According to Best Buy, it's not just TV makers implementing strict pricing rules. An increasing number of consumer electronics companies are taking a similar approach, though no specific names were mentioned in the report. Strict minimum prices are expected to curtail the phenomenon where shoppers visit stores to see products in person before buying them online. However, the plan isn't entirely foolproof, as rival TV outfits maintain cutthroat rates. Players like LG, Panasonic and Sharp won't enforce pricing, which could lure sales away from spendier Sony and Samsung units. "We don't think we should dictate policy between a retailer and a customer transaction," LG said.